Here you have a comparison Osprey Rook & Renn vs Osprey Exos & Eja backpacks. These series are built to be affordable and ultra-light, so some features are missing. Read more below. Osprey has launched a completely new series for 2019, the Rook & Renn for men and women, respectively. Those are very affordable packs, at least for such an outstanding brand. They are also lightweight packs, with a very good volume/weight ratio, but some features are missing. As usual. On the other hand, in 2018 they have launched a new Eja series for women, which corresponds to their Exos series for men that has been around for many years already. But the Exos packs have been heavily modified and they share the same basic features as the Eja packs. Not all changes are for the better, at least from my point of view. But these packs are built to be ultra-lightweight. When they appeared on the market, I wrote a text about this and it is available here. So, on one side you have an effort to build affordable packs, while on the other side to build exceptionally lightweight packs. The result in both cases is as expected – some features are missing. The question is where this lack of features is more substantial. The answer is below. 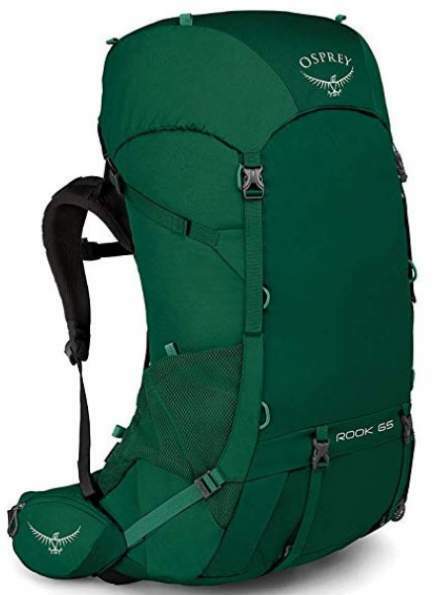 The Eja packs come in the following sizes Eja 38, Eja 48, and Eja 58 liters. 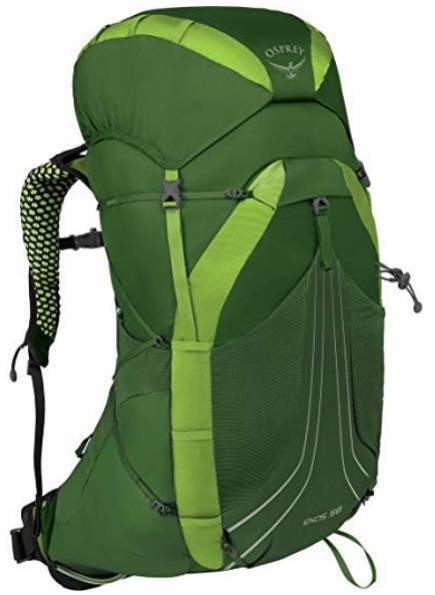 The Exos packs are also in the sizes 38, 48, 58 liters. Within each of these nominal sizes, you have 3 sub-sizes. You will see this as S, M, and L sizes for men and XS, S, and M sizes in the Eja packs. So these are large series with many packs, 9 sizes in total for each of them. Now, the reason for such sizes is that the torso length is fixed in these packs, so apart from the fine-tuning with shoulder straps, you have to choose a proper sub-size within each of these nominal sizes. But how is this in the Rook & Renn packs? Well, here you have two sizes for each of them, Rook 50 and Rook 65 liters, and also Renn 50 and Renn 65 liters. But here you have a completely adjustable shoulder harness (torso size) so there is no need for such sub-sizes. I have decided to show the Renn 65 and Eja 58 packs as the representatives of the series. This will be enough to get some idea about the main features. The same basic comparison would be in the Rook vs Exos packs. Two different attachment positions for the load lifters. None of these is available in the Exos & Eja series, hence my rating. Also, you have a full padding on the Rook & Renn packs while the Exos & Eja have a very thin but really cool looking padding on the shoulder straps. The new Exos hip belt padding and lumbar zone. The hip belt in the Osprey Renn 50 pack. Ventilation: This is excellent in both series, and I am pretty sure there is nothing better on the market. It is completely on the level of Deuter Futura Vario packs. Why am I mentioning Deuter here? 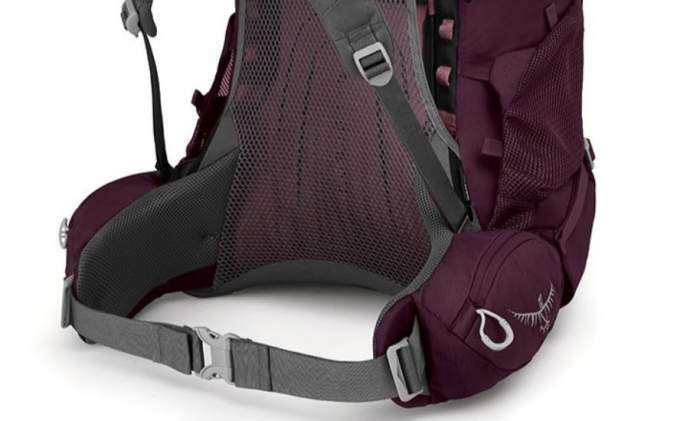 The reason is simple, Deuter has invented this tensioned mesh system and introduced in their Futura series several decades ago. I have been carrying their packs with such a design in the past 20 years. Nowadays more and more brands are switching to this concept, and this is with all good reasons. Weight: Obviously, Exos & Eja packs are ultra-lightweight so they are clear winners here. In the Rook & Renn you have 2 hip belt pockets, 2 side pockets, and 1 lid pocket. In the Exos & Eja there are no hip belt pockets (there is no place on those minimal hip flaps), but you have 2 side pockets, 2 lid pockets, and 1 front pocket. Note that the front stretch pocket here is gigantic so this is a very useful space. Now, this is the matter of preference, it depends which combination you find more useful. I give them the same rating here, but the Exos & Eja offer more with their pockets. One addition: the Rook & Renn packs have one extra pocket on the bottom where the rain cover comes, but you can use it as you wish. Attachment elements: I shall not list here what the same is in both series, I shall focus on the differences only. So in the Exos & Eja you have Osprey’s famous Stow-on-the-Go attachment for poles, and this is missing in the Rook & Renn. In the Exos & Eja you have a loop for the ice axe, paired with a bungee tie-off higher on the pack. This is missing in the Rook & Renn. There are more webbing loops on the Exos & Eja packs. Access: You can access the Rook & Renn from the top and from the bottom. Only top access is in the Exos & Eja packs. Organization: Here I mean mainly the bottom compartment and the mentioned extra access in the Rook & Renn packs. This is missing in the Exos & Eja packs. Carry load: I have no doubt that from this point of view the Rook & Renn packs are far better, they come with a fully padded hip belt. The hip belt in the Exos & Eja packs is almost without any padding and the same is on the shoulder straps. Fabric: You have 600D polyester in the Rook & Renn, while in the Exos & Eja you have 100D high tenacity nylon triple check dobby, and the bottom is 210D high tenacity nylon. Extras: The rain cover in the Rook & Renn adds value. 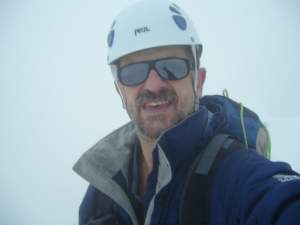 The rain cover is important for me, would not go without it in the area where I do my mountaineering tours. So this was my comparison Osprey Rook & Renn vs Osprey Exos & Eja backpacks, I have presented some basic facts and how I see these four series. There is no doubt that Rook and Renn are better backpacks. They are lightweight and some features are missing but nothing is sacrificed in their suspension. The suspension is essential, the main purpose of a backpack is to carry the weight. 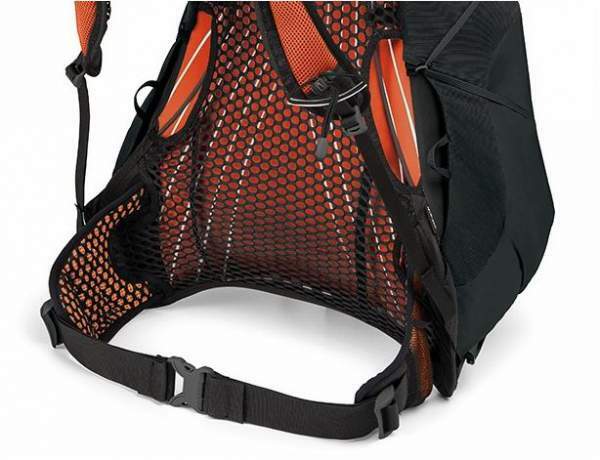 In the case of Exos packs, the hip belt in the previous version was far better, although they have introduced a great ventilation panel in the new version. What do you think? Do share your opinion, there is a comment box below.